It’s a school completely off the grid, hidden by dense forest and surrounded by traps. There’s no electricity, no internet, and an eye-for-an-eye punishment system. Classes include everything from Knife-Throwing and Poisons to the Art of Deception and Historical Analysis. And all of the students are children of the world’s most elite strategists—training to become assassins, counselors, spies, and master impersonators. Into this world walks November Adley, who quickly discovers that friends are few in a school where personal revelations are discouraged and competition is everything. 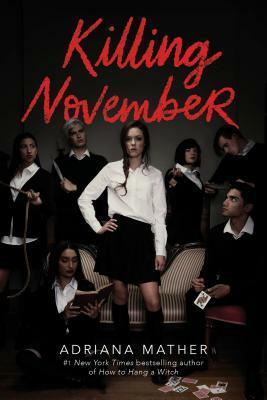 When another student is murdered, all eyes turn to November, who must figure out exactly how she fits into the school’s bizarre strategy games before she is found guilty of the crime…or becomes the killer’s next victim. What an awesome premise – a school that trains assassins. Throw in some murders, and you’ve got a ton of suspects, right? I wasn’t sure what to expect from this book. The cover didn’t do much for me, but the description sounded crazy good. And it delivered – I wanted to finish this book in one sitting. November’s life changes vastly almost overnight – and she has no clue what’s going on. Every student at the school seems to know things about her, but she’s never met any of them, and no one is willing to share their knowledge. Every student is also a trained killer and strategist, and trusting the wrong person could be a fatal error. The stakes are high throughout the book, and I found myself holding my breath in some scenes. I’m pretty sure I suspected almost everyone at some point in the story. It’s obvious the author did her research in nonverbal communication and weapons, with some historical tidbits thrown in that add to the authenticity of the story. Once the secrets are revealed, some are surprising and some predictable, but they sure do make for a tense, exciting read. With fabulous character development, political intrigue, a complex, thrilling plot, and a main character whose life is in jeopardy on nearly every page, Killing November is addictive, and one of my best reads this year. I received a complimentary copy of this book from the publisher through NetGalley. Opinions expressed in this review are completely my own. This sounds interesting! Great review! Thanks, Yesha – absolutely addictive. And there’s a sequel! Definitely an unusual premise for a book. It sounds like you really enjoyed this one! Give me a gang of assassins, and I’m all in, Mae. Not sure what that says about me psychologically. I’m with you… the cover didn’t do it for me, but the description sure did. Glad to know the book delivered! I’ve had a couple of books in the past month that were like that – the covers didn’t work for me, but both turned out to be 5 star reads. You just know what I”m going to say – ‘Can’t judge a book by its cover’. I like the premise. Sounds like something that should be on the CW as a television show. I could totally see that, Craig. Oh my goodness, it sounds like November is put through the wringer. (And don’t you love the name November?) Thanks for reviewing this one! You’re welcome, Priscilla! I do like that name – some called her Ember for short. Have a great week! Thanks, Helen! It grabbed me immediately – glad you enjoyed it, too. This does sounds really good, love the school based idea. 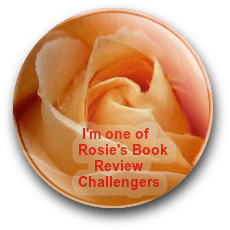 So did I, Rosie – definitely unconventional, but it was a perfect idea for putting a group of assassins all in one place. Awesome. Another book for the TBR pile. And, surprise, I like the cover. It’s not stunning or anything but intriguing and seems to fit the book perfectly. Looking forward to this one! 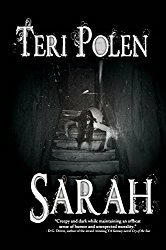 I knew before you said it you’d like the cover, Sarah, lol. This is an excellent one to add to the TBR. I wasn’t crazy about the cover either, Jenn, but what’s inside is a fast-paced thriller with a captivating mystery, and a touch of history. Hope you enjoy it! Wow, Teri — you have certainly made me want to read this book. I admit that I wouldn’t have even given it a full glance, let alone taken it off the shelves. I like your description of holding your breath during some scenes. Now *that’s* a good book by my definitions. Mega hugs. Same here, Teagan. I was holding my breath because of the tense situations – had no idea what would happen. When you’re that emotionally invested, the author has done something right. The cover is awful, Teri, it makes me think it is a high school “bad girl” romance but the book sounds amazing. Great review. I don’t think the cover does justice to what’s inside, either, Robbie. I know sometimes authors don’t have any say over their covers, but I would have been pretty upset if it were mine. The cover didn’t do much for me either, Teri, but your review is awesome. It sounds like a great read. Thanks for the recommendation. Makes you wonder if they do a test audience for covers, doesn’t it? It was an exciting read, Diana, that’s for sure. Click On Cover To Read The First 5 Chapters Free!